Eipix Entertainment presents the next installment of the beloved Dark Parables series! The Kingdom of Barsia has been invaded by mechanical beasts that are attacking its citizens. 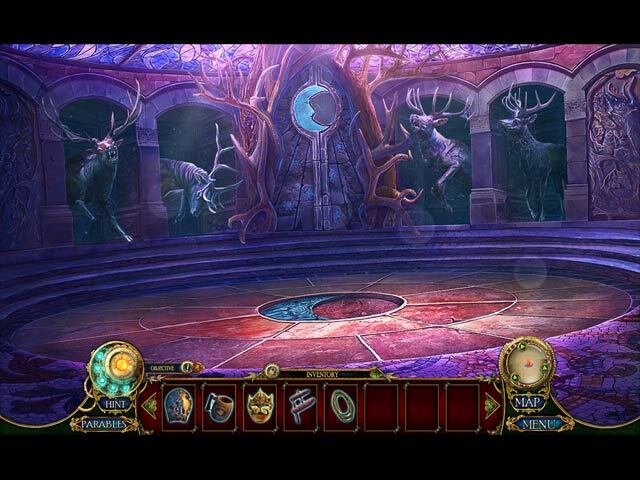 You've been called in to investigate these attacks and discover the origins of a mysterious artifact. Can this artifact save the kingdom… or will it lead them down an even darker path? Only you can help Queen Valla discover the answers. 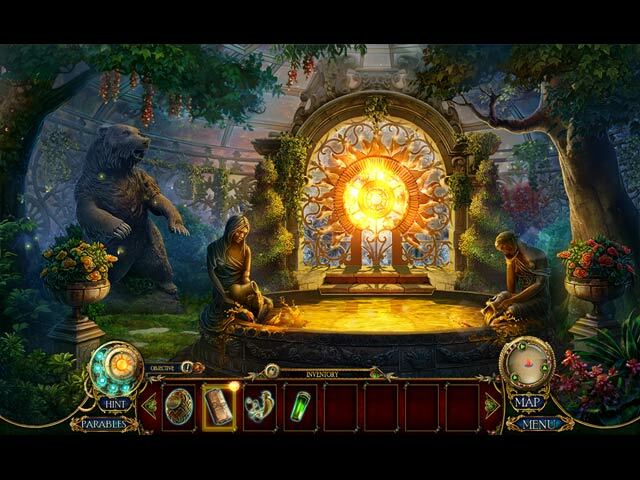 Find hidden objects and solve puzzles to further your investigation and uncover the dark secrets lurking just beneath the surface. 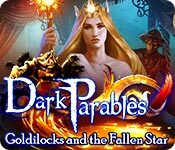 Dark Parables: Goldilocks and the Fallen Star is rated 3.3 out of 5 by 18. Rated 3 out of 5 by patricia356 from Afraid this game doesn't do it for me I am not all the way through the game and I just don't know if I can make it to the end. It seems like an arduous task all the way through. Don't know why they named it Goldilocks its more like the Midas Touch. Graphics were generally good. Items in some of the HOP scenes were extremely small or shaded so that they were not very visible and I found that annoying. Why search for something you can't see anyway? And I am a little weary of those overly filled HO scenes. The music is good and some of it nice to listen to. 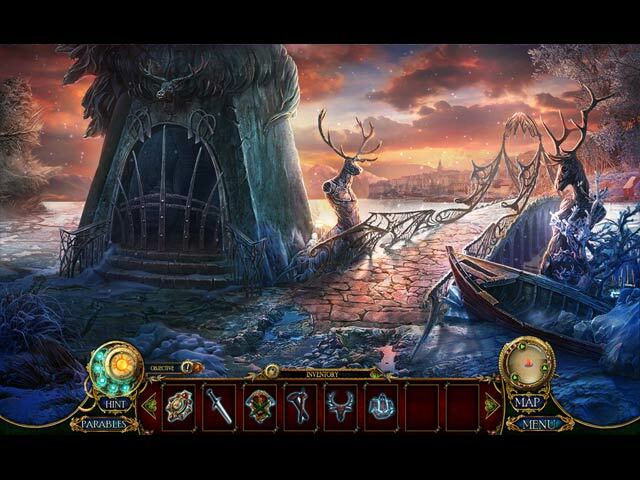 Dark Parables games have sort of become hit or miss with me lately. I used to love them. Glad I purchased this one with a coupon. It is certainly not a bad game but it is forgettable. Sorry to have to say this. I was hoping for better. Rated 3 out of 5 by kateblue222 from CE or SE? Bad directions, incomplete strategy guide, and poor hints don't help, but all the CE extra features are there. This game is pretty in some spots and has nice music and the CE has all the extras. But as I said when I rated the CE . . . "I hate the sound it makes when I do the wrong thing. Which is often. "You see, the hint system and guide are not very good, IMHO. That’s what the rest of this review is about, so stop reading if you don’t care about that. Warning: SPOILERS "1) I could not figure out those runes on the step of the shrine to get the last piece of hunting horn. The closeup of the steps of the shrine said I saw these runes somewhere. Well, I could not remember where. But when I hit the hint button, it did not send me to the location where I had seen them. Instead, it just took me back to the closeup of the steps of the shrine. Finally, I randomly clicked around in two scenes, but still didn’t find the rune sequence. "2) While consulting the guide to get the rune sequence, I noted that it said to “place all 5 statues" on the steps of the shrine and also to use the hunting horn piece. But there are not 5 statues even though there are spaces for 5 statues. There are 4 statues and one hunting horn piece. And I could not find the 5th statue, though I looked around some more. I also consulted the strategy guide for a hint about where the 5th statue might be and could not find one. "So, after wasting 2/3 of the [CE] demo just to get beyond the 1st 3 scenes, I am have played a little farther. It’s fun enough, but I am still worried that, because I did not have 5 statues to place, I will be unable to proceed at some point. I did run the demo out, but only because I wanted to give the game a fair chance." There you have it. Since I was not that thrilled with the game, I have not played any more of it since the CE demo. So, as with the CE, I am barely recommending this one. Parts of the gameplay are too frustrating for me. But, if you really like the game, I recommend the CE because all the bells and whistles are there. Rated 2 out of 5 by ironhorsejockey from Ornate Glitz Lots of nick nacks, pieces of junk to put together. badges, emblems. Not much of a story line. Sorry I bought this game. Rated 2 out of 5 by RedBleu from Meh... I know other reviewers have said this, but what the heck happened to the DP series?!? This one was just the latest in a trio of mediocre releases. In the early games I loved the vibrancy of the colors and graphics, the HOS where you have to find the pieces, and all the extras (morphing objects, fable characters, etc.). But this one...well, let's just say I ain't buying it. The colors are muted, the puzzles are ridiculous, and the game is BORING! I only finished the demo because I'm not a quitter. But boy, was it a struggle. And then Jack shows up, a horrible reminder of another horrible game. Basically, if you have never played a game in this series, then by all means, knock yourself out with this. This game deserved one star, but I gave it two out of respect for what it used to be. Rated 2 out of 5 by deeanddeeann from WHAT HAPPENED? !!!!!..... I BOUGHT THIS VERSION, BECAUSE I HEARD NOT SO GOOD THINGS ABOUT THIS GAME, THE COLLECTORS EDITION. SO I BOUGHT THIS GAME INSTEAD. WHAT HAPPENED? IT IS SO DULL AND BORING!! IT'S NOT LIKE DARK PARABLES AT ALL . AND I LOVED ALL THE DARK PARABLE GAMES!! UP TO THE LITTLE MERMAID, AND THEY JUST GOT BORING, LIKE THEY DIDN'T KNOW WHAT TO DO WITH THEM ANYMORE. AND IT JUST WASN'T PRETTY TO LOOK AT!! ANY MORE LIKE THIS AND I WILL NOT BUY THEM!!!!... I NEVER WRITE BAD REVIEWS ABOUT ANYTHING!! BUT I HAD TO SAY SOMETHING!! Rated 2 out of 5 by Italia47 from So-so game! Goldilocks is going gray. She needs a touchup! Based on a completed CE version, here's the short and the sweet of it. I'm rating this a 2-1/2-stars. Sorry Devs, but this series, to me, has grown old. I'm tired of the same old, same old. The flow was not there for me for some reason; I got bored along the way. I don't play the demos and usually wait for the discounts and often plunge right into buying the games, of course, after I've read most of the reviews. We each have different tastes and what matters to me, may be immaterial to others. I'm not sorry that I bought this game though because I may install it again someday and play it again. That's the beauty of owning these games. CE's for the most part can offer extras that are great and other times not. I should have bought the SE. The graphics are beautiful as usual and the music is wonderful but the mini-games were irrational--unintelligible. The morphing objects, in my opinion, are a waste. However, try the game and see for yourself. I recommend the game based on that.